When is a Transfer Voidable? There are two types of “fraudulent” or “voidable” transfers, one that requires intent by the debtor to defraud a creditor, which is referred to as “actual fraud,” and the other which occurs when a transfer is made by the debtor for inadequate consideration, which is referred to as “constructive fraud.” While the word “fraud” appears in both, a “fraudulent” or “voidable” transfer may in both instances result absent traditional fraud. “Actual Fraud.” A transfer is voidable and said to constitute “actual fraud” if the debtor made the transfer (or incurred the obligation) “with actual intent to hinder, delay, or defraud any creditor of the debtor.” Because direct evidence of a debtor’s actual intent is rarely available since a debtor will rarely, if ever, admit to acting for the purpose of defrauding a creditor, courts have developed a number of non-exclusive factors, referred to as the “badges of fraud,” that they consider in deciding whether “actual intent” existed. Eleven of these so-called “badges of fraud” are enumerated in the UVTA and include: whether the transfer or obligation was to an insider, whether the transfer or obligation was disclosed or concealed, whether before the transfer was made or obligation was incurred the debtor has been sued or threatened with a lawsuit, and whether the debtor retained possession or control of the property. The enumerated list is however not exclusive and does not set in stone the factors the court can or must consider when ascertaining the debtor’s intent. Further, no factor is necessarily determinative, and no minimum or maximum number of factors dictates a particular outcome. Instead, a court will consider all relevant circumstances around the transfer. “Constructive Fraud.” A transfer is also voidable, irrespective of the debtor’s intent, if the debtor made the transfer (or incurred the obligation) without receiving “reasonably equivalent value” and the debtor: (i) was engaged or was about to engage in a transaction “for which the remaining assets of the debtor were unreasonably small in relation” to the transaction; (ii) intended to incur, or believed or reasonably should have believed, that the debtor would incur “debts beyond the debtor’s ability to pay as they became due;” or (iii) the debtor “was insolvent” at the time or “became insolvent” as a result of the transfer or obligation. A debtor that is generally not paying the debtor’s debts as they become due, other than as a result of a bona fide dispute, is presumed to be insolvent. Making the right choice of an attorney to advise and represent your business is important and, at Structure Law Group, we form relationships with our business clients to fully understand their goals and legal needs. 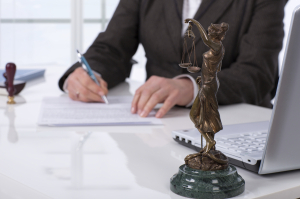 We can handle the wide range of legal matters you may face so that you do not have to go searching for a new law firm every time a new issue arises. Please call our office to discuss our services with an experienced San Jose business litigation attorney today.